The Q Armorers sent us the following info. With the growing enthusiasm of airsoft in the States and the demand for reliable solutions for repairs, upgrades, and the same highend custom work reputable of the former Q Project, the techs at Q-Armory are directly accessible online. Either you don’t have a reliable source for your airsoft needs, or you just want the very best in customization, visit Q-Armory… the fastest and most solid solution for the serious airsoft user. Q Armory is also the exclusive associate of Redwolf Airsoft in Hong Kong in the U.S. You can count on the same professional airsoft techs that had made Qtech Labs division what it is today! http://www.q-armory.com/ – Thanks for your support! Just got word from the team at Mad Bull Airsoft that they will now be the official manufacturers of the world famous ACE stocks. 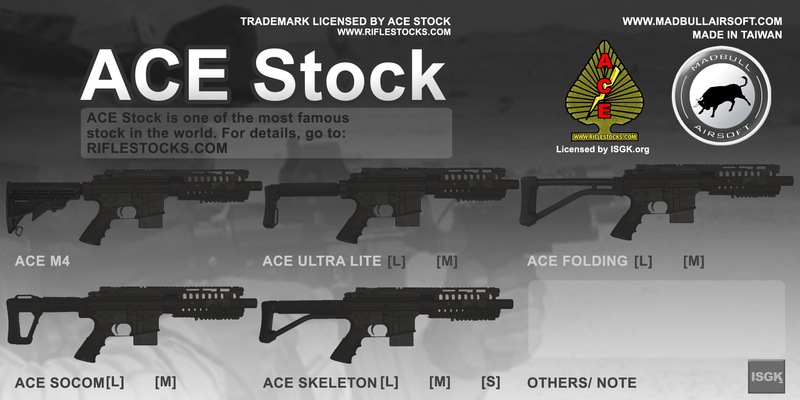 We are the only authorized Airsoft manufacturer who is producing accurate copy of ACE stock. Thanks for blessing from ACE stock. Now, only one model is available. More models will coming soon! After my recent review of the King Arms TROY A3 CQC King Arms has announced the second release in the TROY series. This time the MRF CX Rifle. 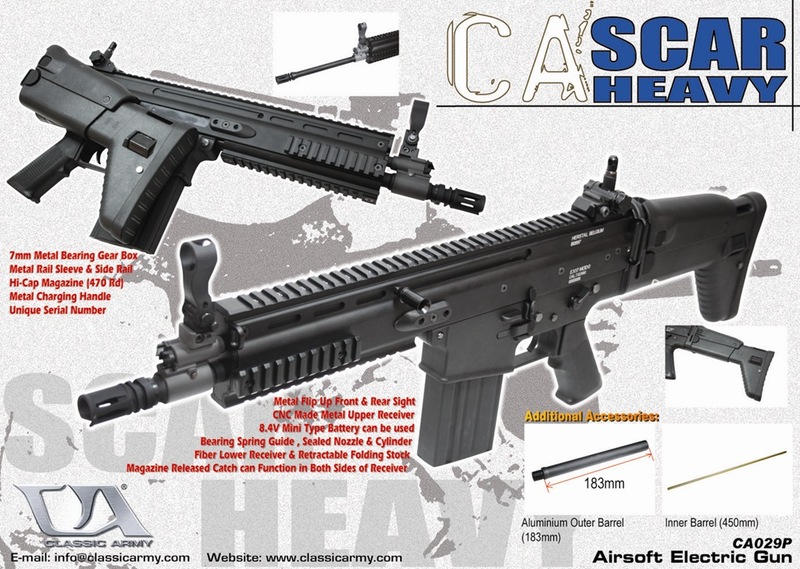 Also King Arms has announced the release of some other interest items. This is the second version of the Troy M4 series, the Troy MRF CX AEG. Just like the Troy CQB Compact, it is also a full metal AEG. 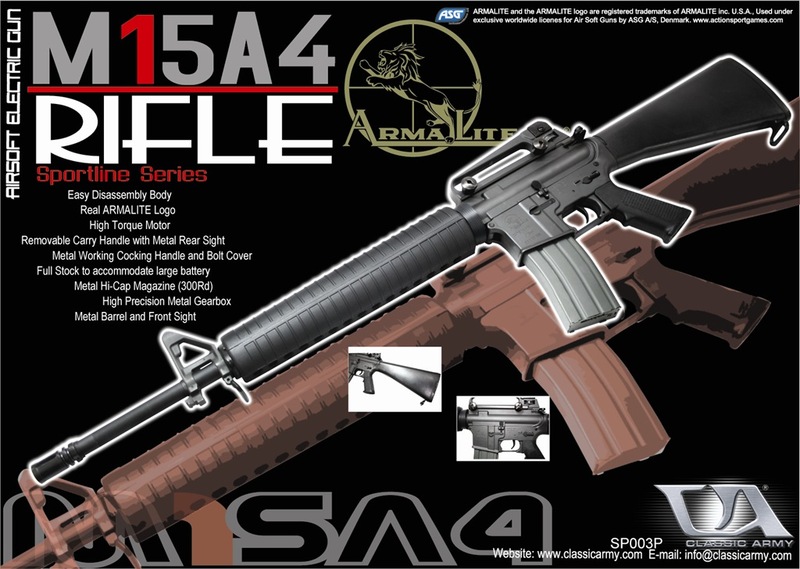 It comes with a 10” Free Floating Rail system, a 10.5” one piece outer barrel and 300 rounds magazine. Now you have more space on the rail to hang all your gadgets. 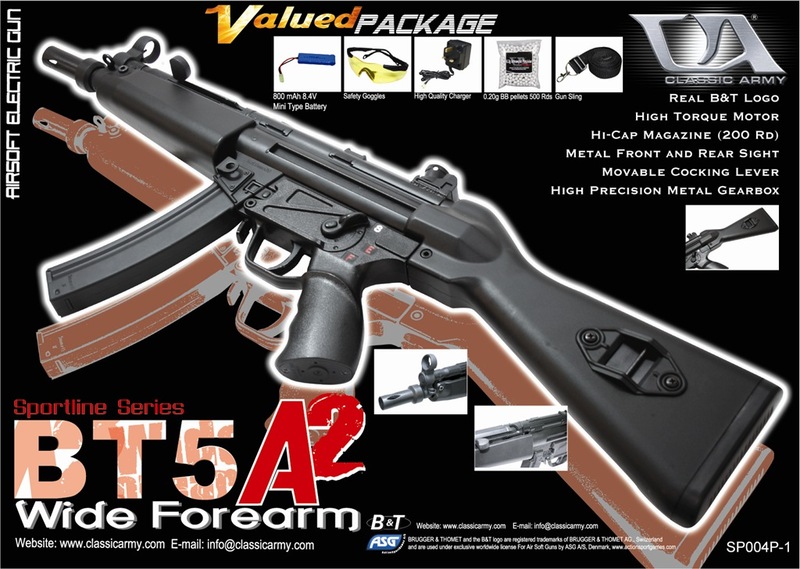 This is a pretty unique grip on the airsoft market now. The special design give you a better grip and it has 2 infixed metal screw nuts build in to help to hold the motor base cover firmly. There are 2 versions for different hand sizes and 3 colors to choose from. This is again a unique product and I do like it a lot personally. 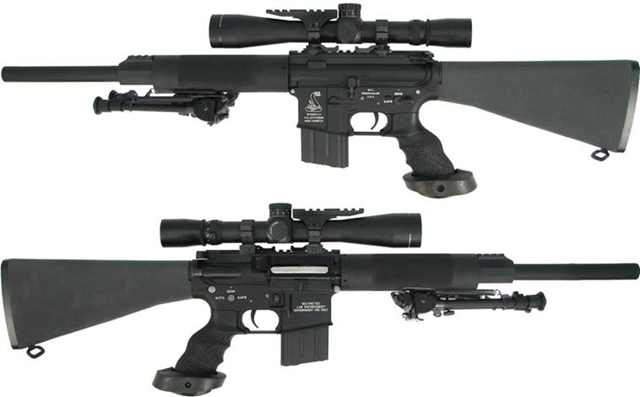 The 3X Tactical Scope. Well, you can see that it is a 1-3 X scopes by its name. It fits on 20mm rail perfectly and it has 10 brightness levels for different environments. Not to mention how cool it looks and how well it’s finishing is. Our order is arriving soon and we are taking pre-order now. Only small quantity is available so I suggest you to place your order right after you finished reading this email. Spartan Imports will be showing Classic Army’s near future releases at upcoming Shotshow 2008, The U.S.’ largest firearms trade show in Las Vegas, the first week in February. More details will be posted/confirmed when I actually have models in hand. Link to forum post. 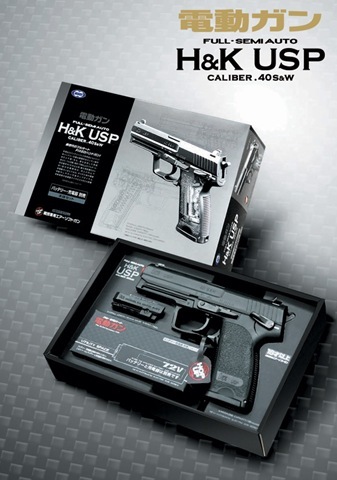 Tokyo Marui has just announced that their successful AEP H&K USP (Gun Only Set) is going to be released on 1/21/2008. 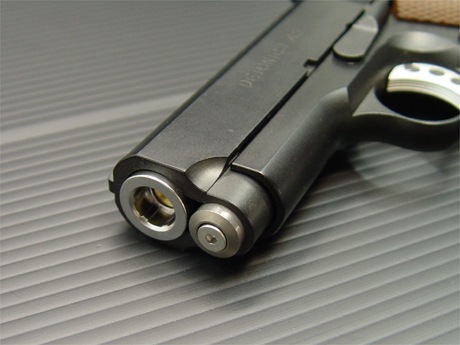 Previously Tokyo Marui has made the AEP M93R and G18C as both, a Full-Set with a battery and a charger and a Gun-Only set without any batteries or charger at a reduced price. The AEP USP Full-Set is available on the market as well. 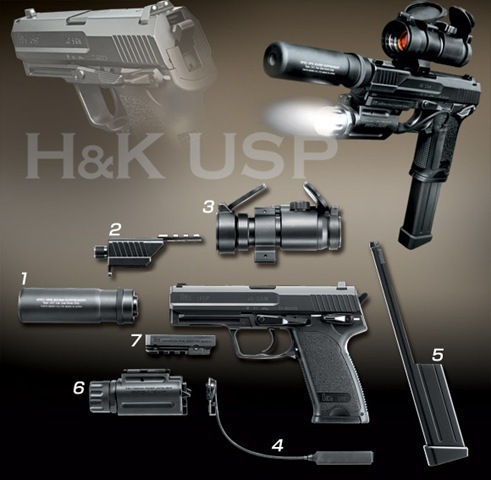 The AEP H&K USP only comes with the gun and instruction manuals. Battery and Charger is sold separately. Price is 13,800 YEN. Left is the Box and gun in the gun-only set. 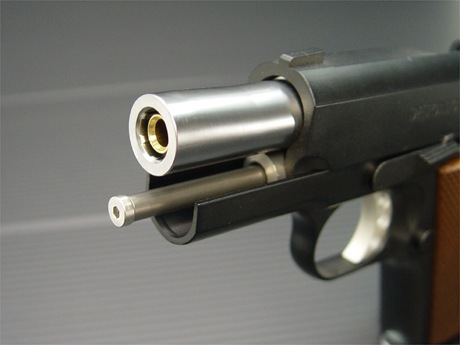 Right pictured, is the accessories that can be bought for the gun. Laylax Tokyo Marui Detonics 45 Combat Master Recoil Spring Guide and Recoil Spring Set! New from Laylax, Japan is the Tokyo Marui Detonics Reoil Spring Guide and Recoil Spring Set! 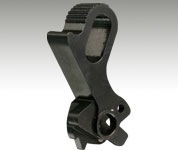 This Spring guide set is made of SUS and has a teflon coated shaft for ensured smooth operation of the gun. 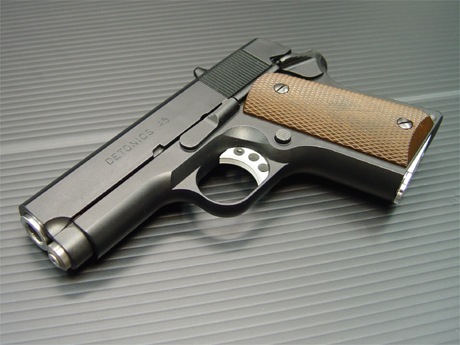 Previous problems involved the Detonics to lock/stick when fired and was the result of the spring guide. 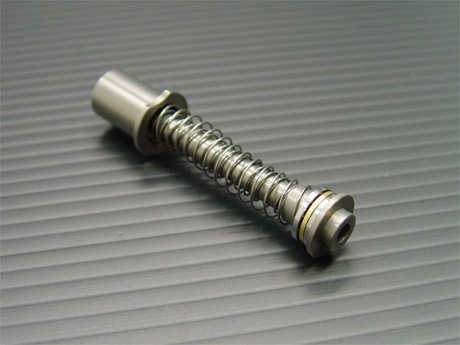 The spring guide also has a bearing in the shaft to allow the spring to compress and twist more efficiently. PDI X-FIRE UPDATE! More pictures of the MAC10 Short Front RIS as well as the .45 Hi-Capa Series Oval Hammer. 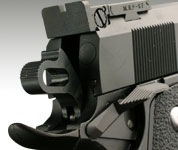 A few days ago with the release of the PDI MAC10 Short Front RIS Kit, PDI has announced with more details and pictures! This time we have more pictures of the unit as well as the silencer that has the "punching metal" process. The original article on the MAC10 RIS is just below a few entrees. 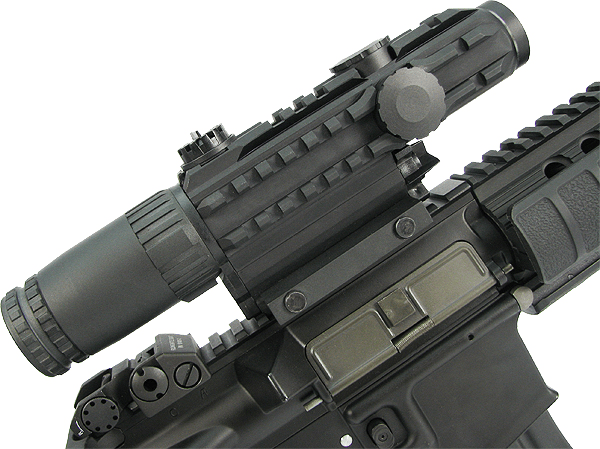 Pictured here is the MAC SHORT RIS kit with optional flash hiders from PDI X-Fire. 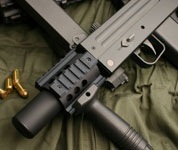 Left MAC10 is installed with the PDI KRINKOV Hider and the right is the AR M1 Hider. Here is also another product update. 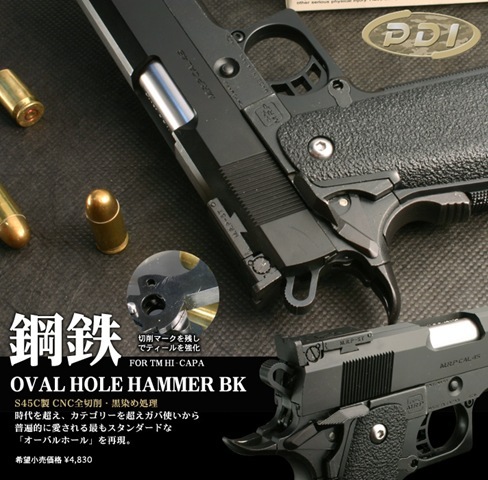 This time it is the OVAL HOLE Hammer for the .45 Tokyo Marui Detonic Combat Master and the Tokyo Marui Hi-Capa. 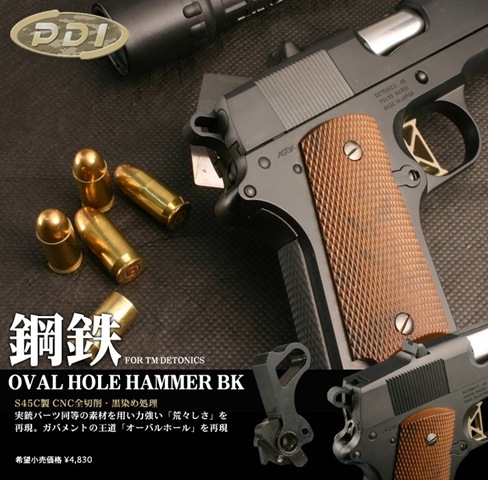 The Oval Hole Hammer BK model is for the Tokyo Marui Hi-Capa series. It is also constructed of S45C CNC and is on sale for 3,684 Yen. 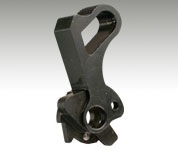 The hammer shares the same design as the PDI Detonics Oval Hole Hammer. All information is subject and right to PDI X-Fire Japan. You can visit their homepage at : http://www.x-fire.org/ to learn more! The year has just begun and I’ve been working hard trying to get these reviews finished in time. 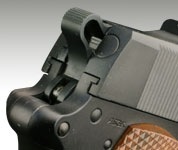 My first review of 2008 is on the new CQC release by King Arms. This model is based on TROY ind. 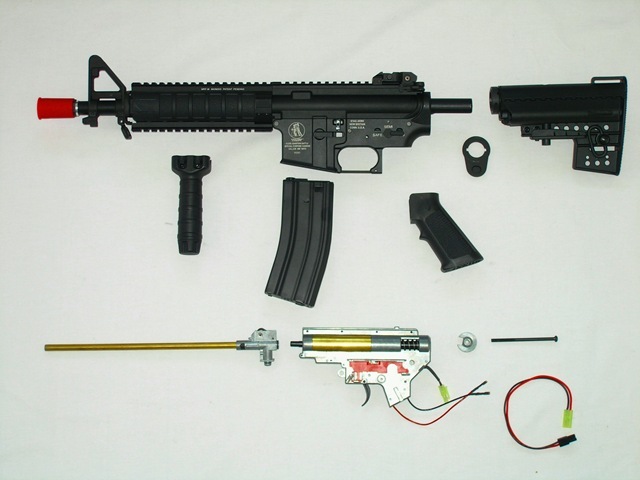 A3 receiver set and comes with a array of accessories that make this replica ready to skirmish straight from the box! 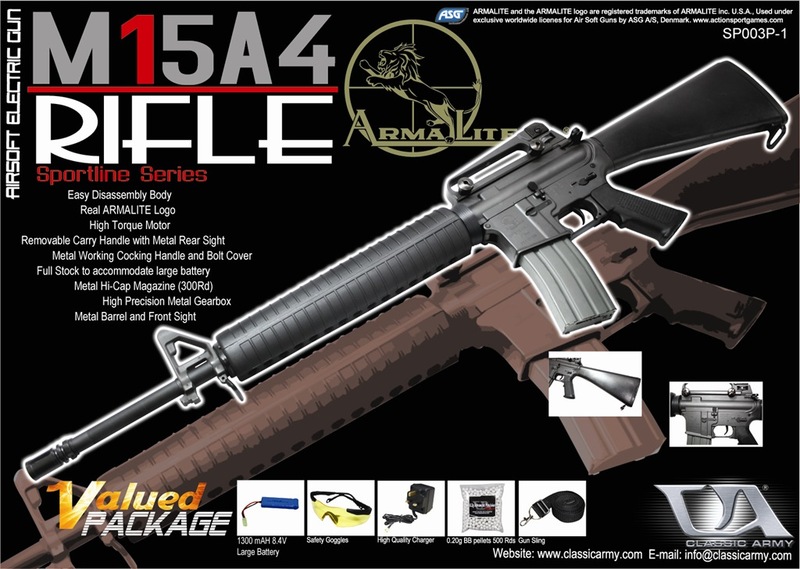 Also the model features the new M4/M16 receiver sets which have some amazing features not to be missed! So head on in to the forums and read the full review here. Alternatively if you are not a registered member of the forums you can read the full review in our database here. Paul at EBTactical (Ebay Prohibited) has just sent me images of a new product coming out of China within the next 3 or 4 days and has sent me images. 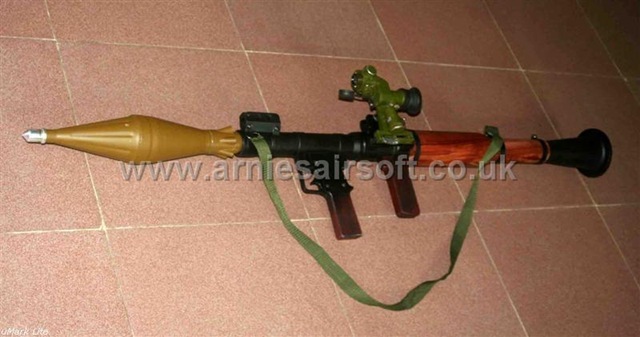 That’s right an airsoft version of the M72 LAW. From what I have been told this will be a fully functioning Airsoft replica of the famous portable one-shot 66 mm anti-tank weapon. This is definitely going to be on the wish list of pretty much any Vietnam reenactment players! Not only that but Paul will also be stocking the infamous RPG that is pretty much used by every third world army and is certainly on my wish list for my Terrorist/Militant load out! Mark at King Arms has sent us some very interest news about the new range of rifles they are releasing. These feature the free floating heavy sniper barrels! Thank you very much for all of your support for the King Arms first M4 AEG, lots of people has already received the AEG and they all like it a lot. 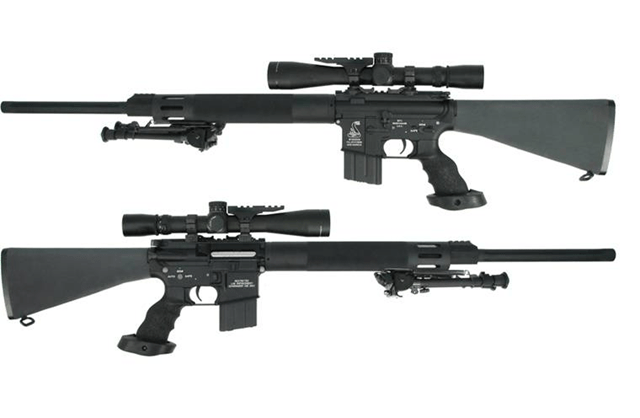 Now we offer you second edition of the M4, which is the Free Float Sniper Rifle. There are 2 versions, one is equipped with normal barrel, and the other one with heavy barrel. There are also three lengths to choose from, 16”, 20”, and 24”, making it total six different AEG. Once again, price is very attractive. Let me know if you have any question, later boys and gals! 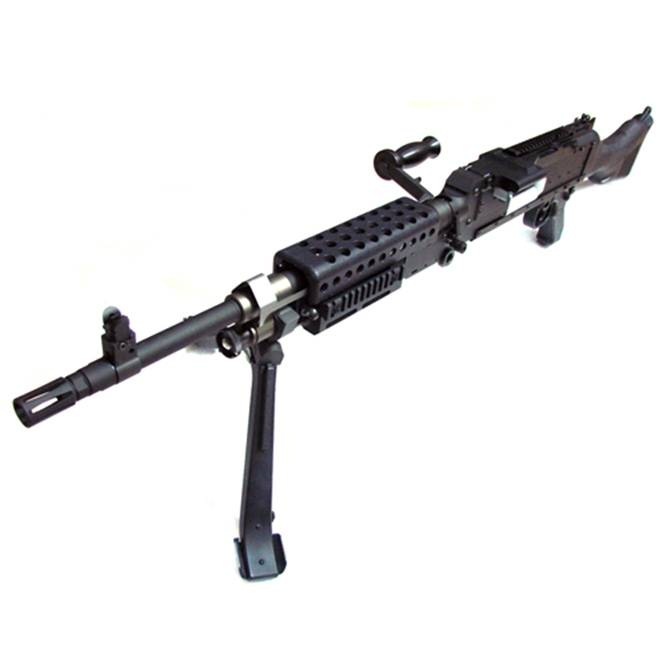 ICS Exclusive L86 LSW to be released soon! Now last year I announced that ICS would be releasing the L85A2 and many players and members of Arnie’s posted or pm’ed me asking if they would possibly be making the L86. 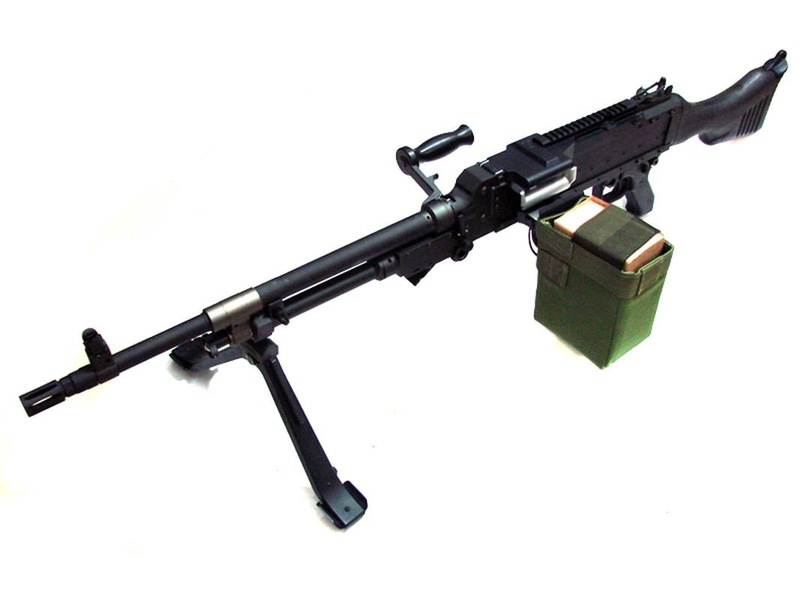 Well I now have evidence that ICS is indeed going to release the L86 LSW and not only that but also release the front end as a separate kit for owners of the ICS L85A2 who want to switch the front ends over. Right now there no other details on this but any further news or images will be posted in the forums here. The team at Madbull Airsoft has sent us some news of their latest release, labeled as the "Dragon Series" these boast to be the cheapest CNC machined hand guards on the market. As you can see these prices are ridiculously low prices putting them in direct competition not only with current high end products on the market but also the resent boom in Chinese products. It looks like Madbull is prepared to tackle the clones by not only producing superior products but also by pricing their product competitively. 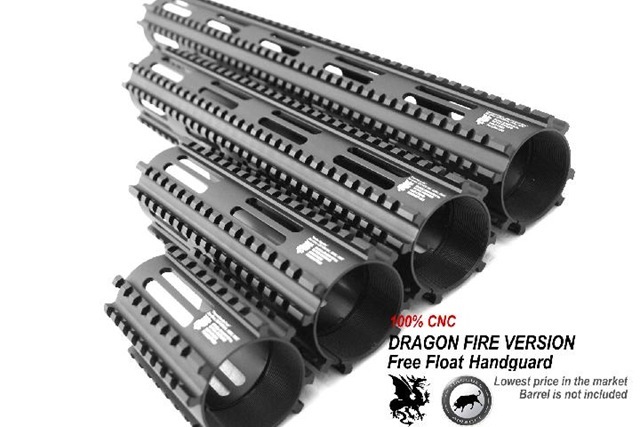 MADBULL Dragon Fire Tactical Handguard’s are available now. 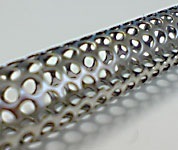 100% CNC. Lowest price in the market. 4 different models. Includes 2 screws sets and delta ring. 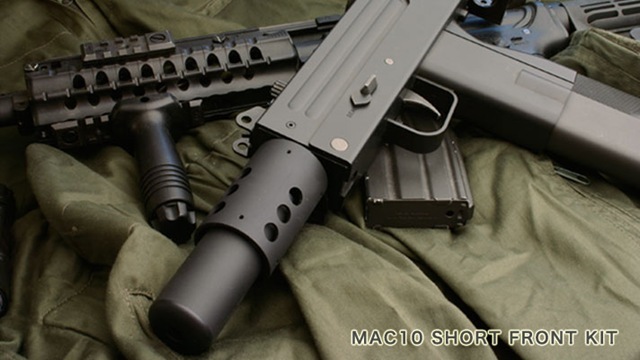 As promised, PDI X-Fire Japan has announced the Tokyo Marui MAC10 Short RIS Kit with a short silencer included. 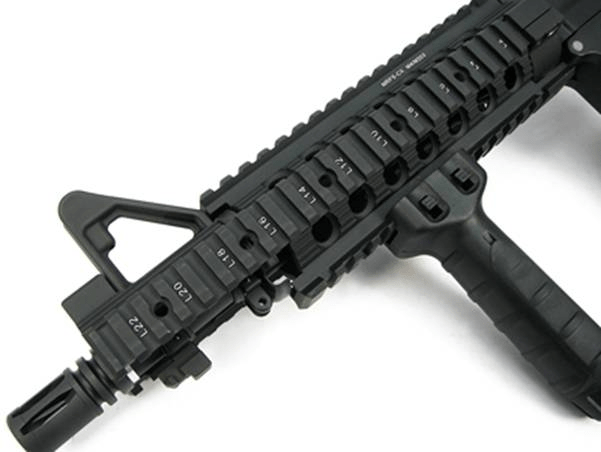 The RIS is the standard Patriot series RIS and four small rails can be attached on to each side of the RIS. 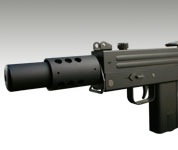 A grip, laser, light, scope, or grenade launcher can now be added successfully on to the MAC10. 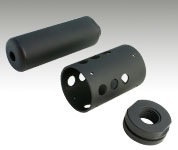 Also, users who might have suspected the original silencer is too large and cumbersome will be rewarded with the shorter silencer that is included also with the RIS KIT. 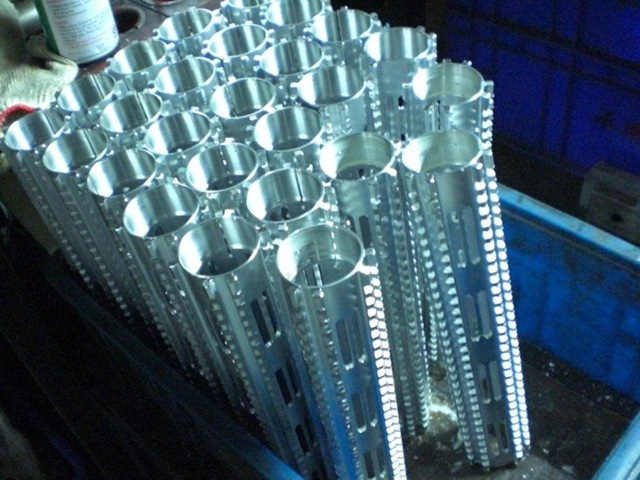 The silencer is manufactured in SUS304 Stainless with the punching metal procedure that is also found in many automobile, aircraft, and ship manufacturers. 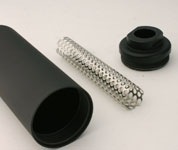 It is very good for sound proofing and to reduce vibration in the material. 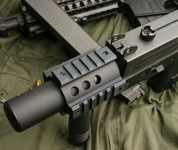 The silencer is now short and compact while maintaining it’s purpose and function in CQB combat. The unit is on a special reduced price (10,000yen), however in a few days the sale is over. The Kit will not consist of Rails. Extra Rails must be purchased separately. 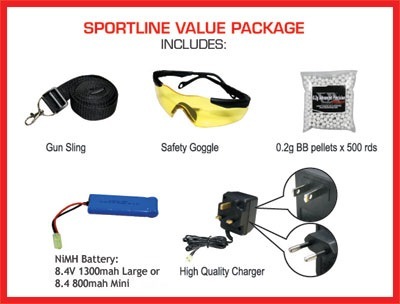 More information can be found on the MAC 10 RIS KIT page at X-Fire PDI-MAC10 KIT. Dear Arnies. How are you? Here is the news of M240 bravo kit which is made by Trigger Happy and distributed by 2roy Tactical. 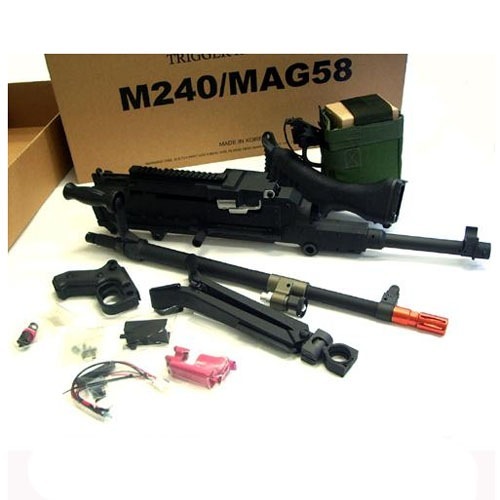 M240 bravo kit has 1:1 size heat cover and lower RIS. 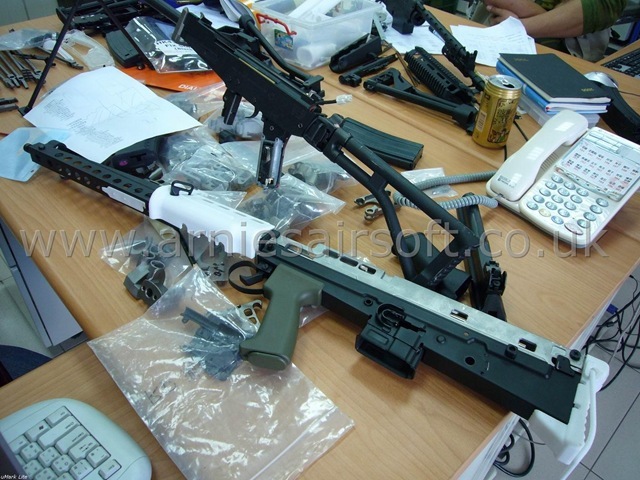 This is the exactly sample model now U.S army using in Iraq. Comparing with M240, it looks more combative. And now it is available to get it. Hey Arnie, This week has been a busy one for us with the birthday on-site show coming up and what not… so not only will you get the standard "show has been posted" news.. but a little something extra. Win-win, right? Our 2nd Birthday Show is on for Sunday, the 27th of January a Steelhawk Airsoft (www.steelhawkairsoft.com) in Orange, CA. We will be there from 12p-5p and be broadcasting live from 1p-4p. Plans call for BBQ, raffle, cake, and even an airsoft swap meet. So you already know that OPSEC is 100% listener supported right? We have no sponsors or investors to pay the bills, so it’s down to either the listener’s donations or the staff to cough up the dough needed to keep us afloat. The good news is that the books for 2007 are closed and we did far better in ’07 and in ’06.The bad news is that we are still in the red. 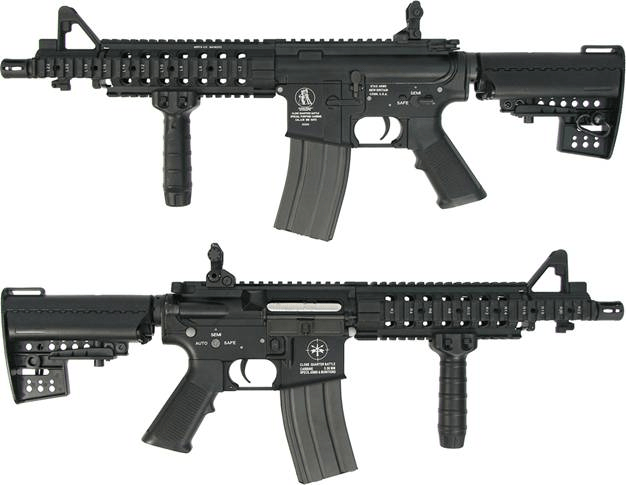 To get in the black for ’08, we’re holding a fund raising raffle, giving you the chance to win an AEG for only $3. 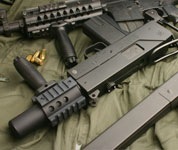 The prize: an ECHO 1 Vector Arms AK CMP. The winner will be drawn LIVE on the air during the birthday broadcast. You can enter as many times as you like to increase your chances… in fact.. we encourage multiple entries (yea, I know.. that was shameless). Head on over to the raffle page for more details and photos of the goods.